The mining giant, Bitmain, is preparing to deploy 90,000 Antminer S9s for the hashrate war that will be experienced in the Bitcoin Cash bifurcation on November 15th. Bitmain, the crypto currency miningequipment manufacturer, reportedly is preparing to deploy 90,000 Antminer S9 ASICs in Xinjiang before China’s Bitcoin Cash forking on November 15th. According to news agency DeepChain, the goal of the crypto money mining giant is to prepare for the hashrate war between two Bitcoin Cash versions that will occur after the bifurcation to prevent potential attacks . Each Antminer S9 has an estimated power of 14 TH / s.
Yu Hao, a mining farm owner in China’s far west region of Xinjiang, said that since October, Bitmain has been in contact with the mining farms in the region and has been negotiating the deployment of mining equipment in preparation for the hashrate war. Bitmain ‘s wallets are known to have over 1 million BCH . The company is taking action against possible losses during bifurcation. An anonymous resource marketing personnel from Bitmain reported that half of them went to Xinjiang to discuss the distribution of equipment with their businesses. How did it come to this point? The Bitcoin Cash community could not agree on updates to be implemented on November 15th. With the team headed by Craig Wright, Jihan Wu and his supporters have different visions of what updates should be applied to the Bitcoin Cash network. ABC, the original developer team of Bitcoin Cash, has received support from AntPool, ViaBTC, Bitcoin.com, BTC.top and some other leading mine pools. This is roughly 40 percent of the total hashrate of BCH. 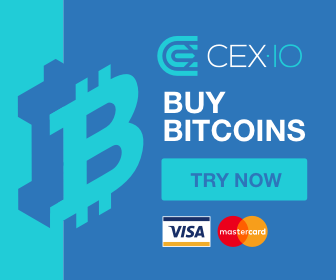 The SV version is supported by the largest BCH mining pool CoinGeek and nChain. Previous « Will Bitcoin be 28,000 in 2019 and $ 50,000 in 2020?